The Apple iPhone 7 Plus has been launched along with the Apple iPhone 7 on September 7, 2016. The iPhone 7 Plus sports a large 5.5-inch display and is a great option for anyone looking for a phablet. The Apple iPhone 7 Plus is currently on pre-order with availability starting from September 16, 2016. The Apple iPhone 7 Plus is a pretty expensive smartphone with prices starting at $769. A good smartphone case/cover is absolutely necessary to insure your iPhone 7 Plus against accidental drops, scratches, dust etc. 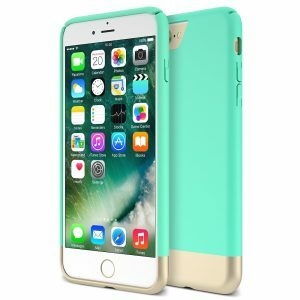 Listed below are the top 10 best Apple iPhone 7 Plus cases and covers. 1. 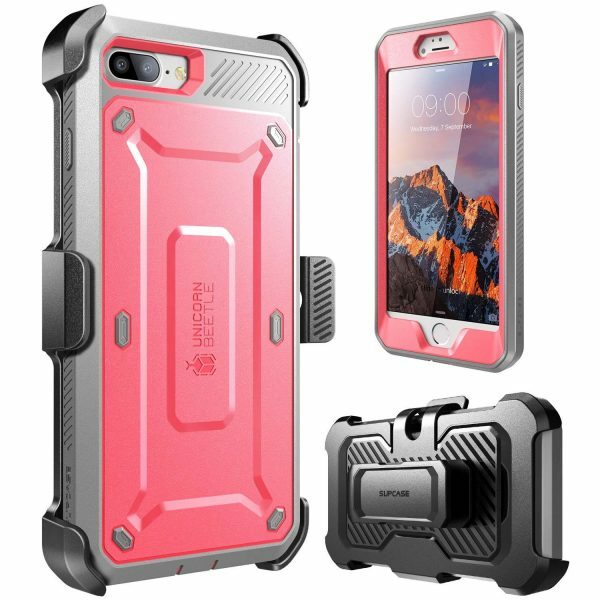 Spigen Tough Armor Apple iPhone 7 Plus Case: The Spigen Tough Armor Apple iPhone 7 Plus Case looks good and also provides amazing protection to your smartphone from drops, bumps and shocks with the clever use of air cushion technology. Raised bevels on the front and rear protect the display and camera lens. A built-in kickstand lets you enjoy media on the iPhone 7 Plus. The Spigen Tough Armor Apple iPhone 7 Plus Case is available in 6 different colors. 2. Caseology Envoy Series Apple iPhone 7 Plus Case: The Caseology Envoy Series Apple iPhone 7 Plus Case is very attractive and stylish. The premium PU leather and soft coated bumper bring a rich look to the Caseology Envoy Series Apple iPhone 7 Plus Case. The case also offers decent dual layer protection to your smartphone. 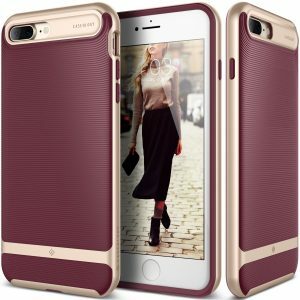 The Caseology Envoy Series Apple iPhone 7 Plus Case is available in 5 colors. 3. 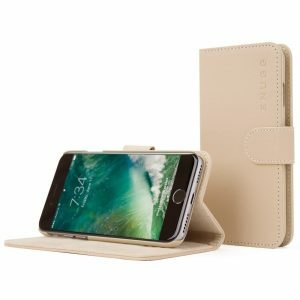 Snugg Apple iPhone 7 Plus Flip Case Leather Wallet Cover: If you need a wallet case for your iPhone 7 Plus, the Snugg Apple iPhone 7 Plus Flip Case Leather Wallet Cover is a great choice. The wallet case features 3 card slots for your credit cards, bank cards, business cards etc. and a money pocket. The flip cover also functions as a built-in stand and a strong magnetic clasp secures the contents of the case. The Snugg Apple iPhone 7 Plus Flip Case Leather Wallet Cover is available in 7 different colors. 4. 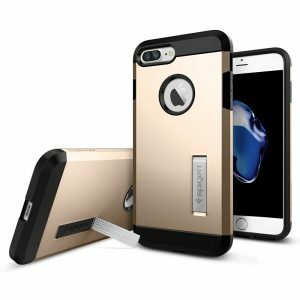 Speck Products Presidio Grip Apple iPhone 7 Plus Case: With its large footprint, the iPhone 7 Plus is difficult to hold for many. The Speck Products Presidio Grip Apple iPhone 7 Plus Case adds the much needed grip to the iPhone 7 Plus with raised rubber ridges. The case is scratch resistant and also offers high impact resistance. The Speck Products Presidio Grip Apple iPhone 7 Plus Case is available in 6 different colors. 5. Supcase Unicorn Beetle Pro Series Apple iPhone 7 Plus Case: The Supcase Unicorn Beetle Pro Series Apple iPhone 7 Plus Case offers heavy-duty full-body protection against drops, bumps, shocks, scratches and dust. The case is equipped with a side mount belt clip swivel holster for your convenience. The built-in screen protector guards the display against scratches. The Supcase Unicorn Beetle Pro Series Apple iPhone 7 Plus Case is available in 5 colors. 6. i-Blason ArmorBox Apple iPhone 7 Plus Case: The i-Blason ArmorBox Apple iPhone 7 Plus Case offers rugged dual layer protection in a slim, lightweight design. 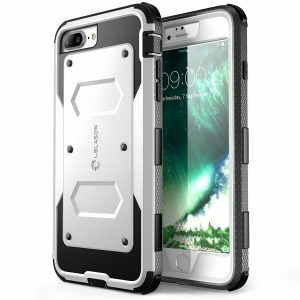 The case features shock absorbing bumpers, built-in screen protector and a side mount belt clip swivel holster. 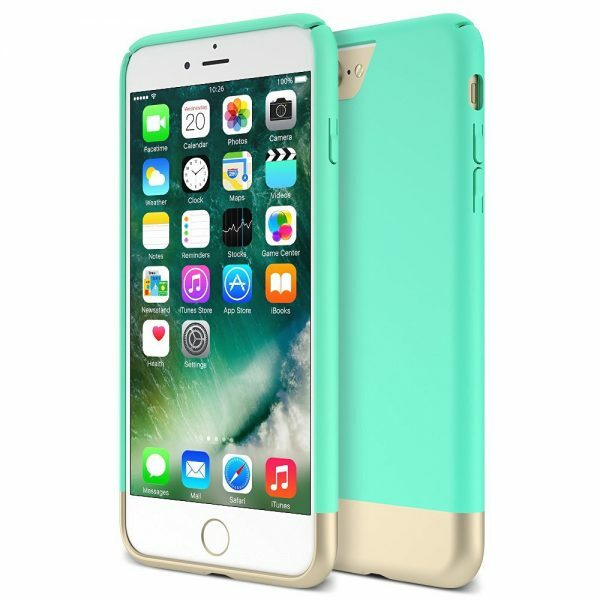 The i-Blason ArmorBox Apple iPhone 7 Plus Case is available in 5 colors. 7. 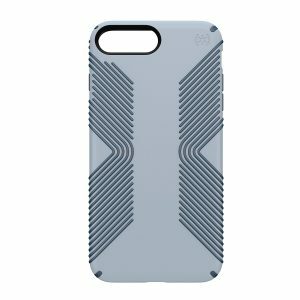 Spigen Neo Hybrid Apple iPhone 7 Plus Case: The Spigen Neo Hybrid Apple iPhone 7 Plus Case comes with a great looking new TPU pattern on the back. The metalized buttons bring about a premium feel to the case. The Spigen Neo Hybrid Apple iPhone 7 Plus Case is available in 3 different colored bumpers. 8. Caseology Wavelength Series Apple iPhone 7 Plus Case: The Caseology Wavelength Series Apple iPhone 7 Plus Case features an interesting 3D pattern on the back cover that also helps provide a secure and comfortable grip. 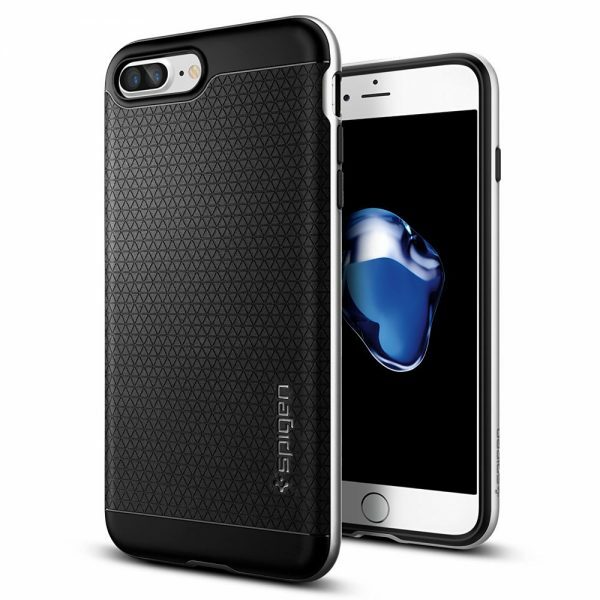 The shock absorbing TPU bumper protects against drops and the raised bevel guards against scratches. The Caseology Wavelength Series Apple iPhone 7 Plus Case is available in 6 attractive colors. 9. 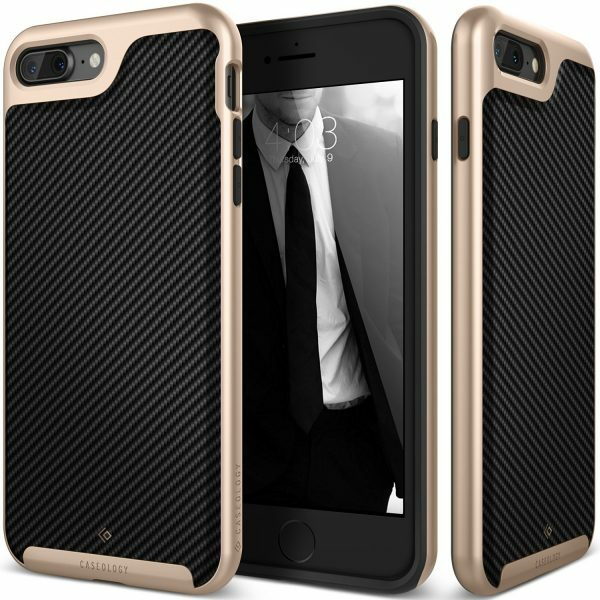 Maxboost Vibrance Series Apple iPhone 7 Plus Case: The Maxboost Vibrance Series Apple iPhone 7 Plus Case is a simple smartphone case that provides 360-degree protection. The Maxboost Vibrance Series Apple iPhone 7 Plus Case is available in 4 vibrant colors. 10. Luvvitt Clear Grip Apple iPhone 7 Plus Case: Flaunt the iPhone 7 Plus’ original design with the Luvvitt Clear Grip Apple iPhone 7 Plus Case. 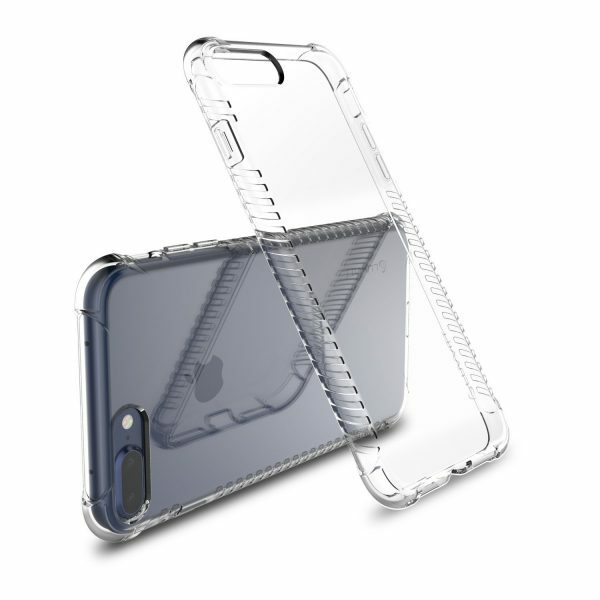 This clear back cover offers oodles of grip and fits comfortably in the hand. Also, the shock absorbing corners on the Luvvitt Clear Grip Apple iPhone 7 Plus Case provide drop protection to your smartphone. These are the top 10 best Apple iPhone 7 Plus cases and covers. Which among these iPhone 7 Plus cases do you like the most?